Ahlen, March 2013. 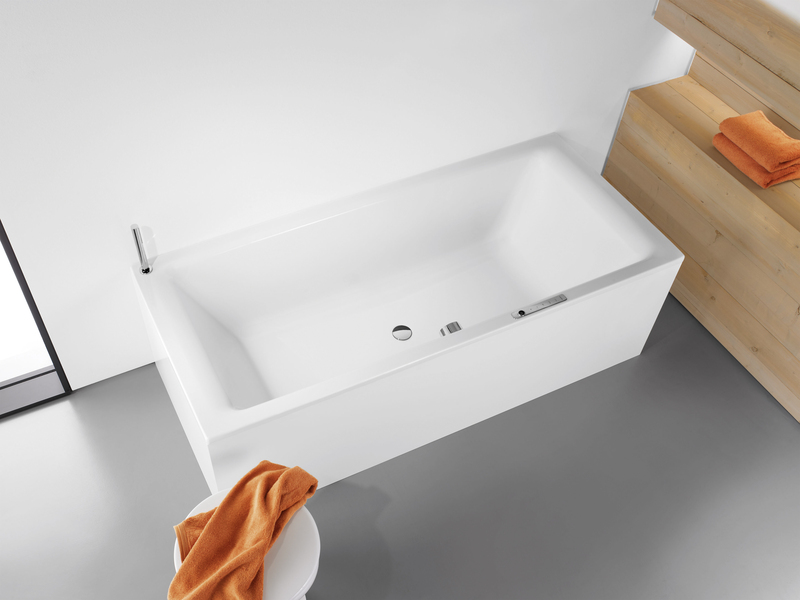 – Kaldewei has extended its Puro bath range adding a new model to its portfolio. Puro Duo satisfies the expectation of timeless quality design for a comfortable bath à deux. Ergonomically designed, two sloping backrests and a central waste outlet and overflow add to the comfort. Sharing a bath with your partner provides an enjoyable break from the daily routine. The pleasure of the experience is further enhanced when both can ease comfortably into the warm water. Kaldewei offers a wide range of bath models with a generous interior and two comfortably sloping backrests for a relaxing bath for two. Launched in 2008, the successful Puro range has now been extended by a new Duo model. One of the basic principles of modern architecture and interior design is reduction. The new Puro Duo bath from Kaldewei appeals with a modern design and two ergonomic, gently sloping backrests complemented by a central waste outlet and overflow for exceptional bathing comfort. Available in three sizes (170 x 75 cm, 180 x 80 cm and 190 x 90 cm), Puro Duo integrates harmoniously with the individual shape of the bathroom to ensure a relaxing bath – for two or alone. As all baths and shower trays and the enamelled shower surfaces from Kaldewei, the new Puro Duo is made of high-quality Kaldewei steel enamel. The bath can optionally be provided with an anti-slip enamel finish and Kaldewei’s beading effect. Puro Duo can be delivered with a range of accessories for even greater comfort, including Kaldewei’s electronic control element Comfort Select, a single bath handle, or the new bath audio system Sound Wave. Kaldewei steel enamel is defined by its exceptionally high surface quality – showing not even the tiniest scratches despite daily use, while dirt and limescale have nowhere to settle. Kaldewei brand products therefore are a safe and hygienic choice for the bathroom – guaranteed for 30 years! One of the basic principles of modern architecture and interior design is reduction. The new Puro Duo bath from Kaldewei appeals with a modern design and two ergonomic, gently sloping backrests complemented by a central waste outlet and overflow for exceptional bathing comfort. It integrates harmoniously with the individual shape of the bathroom to ensure a relaxing bath – for two or alone. 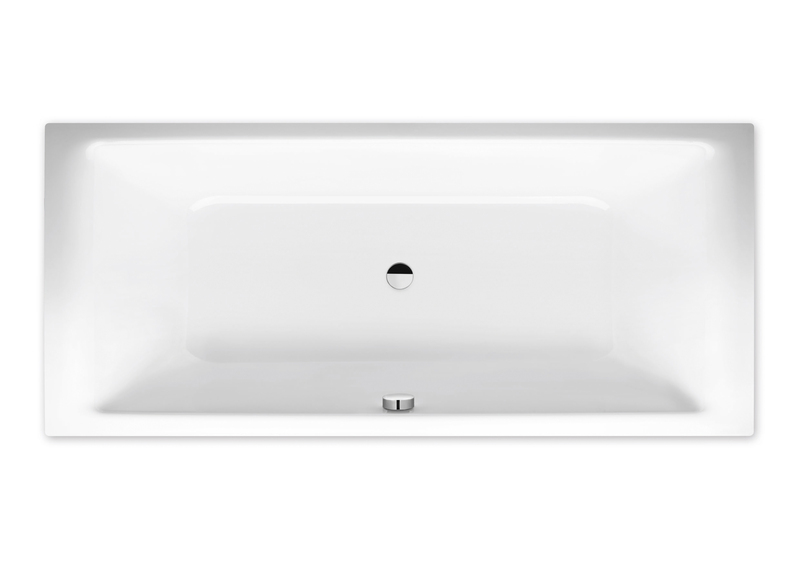 Puro Duo satisfies the expectation of timeless quality design for a comfortable bath à deux. Ergonomically designed, two sloping backrests and a central waste outlet and overflow add to the comfort. Puro Duo is available in the sizes 170 x 75 cm, 180 x 80 cm and 190 x 90 cm.